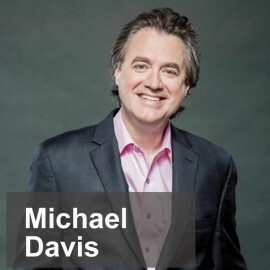 In 2011, Michael earned the designation Certified World Class Speaking Coach. The processes and skills he teaches help you increase your visibility, create more opportunities for advancement, save you time, and may also increase your income. To keep abreast of new ideas from the speaking world, he works closely with World Champion and Hall of Fame speakers. He also studies the work of Hollywood screenwriters and professional comics to expand his knowledge of presentation skills and offer a unique perspective on these topics. Because of his dedication to the craft, Michael is sought by speakers all over the world. He has produced audio programs, is a contributing author to three public speaking books, has recently written his first book, ‘THE Book on Storytelling,’ and presents public speaking and storytelling skills workshops throughout the year.